This post I'm breaking rules. I never buy a load of fresh green chiles in the dead of winter, but like I said, I'm breaking rules! Another rule is the Colorado Green chili cannot be vegetarian. DONE and BROKEN. I'm also shattering realities this week in my own life. I'm selling things from our home and life, we're packing all our stuff in boxes, and saying goodbye to this lovely piece of farm and woods we've called home for the past few years. 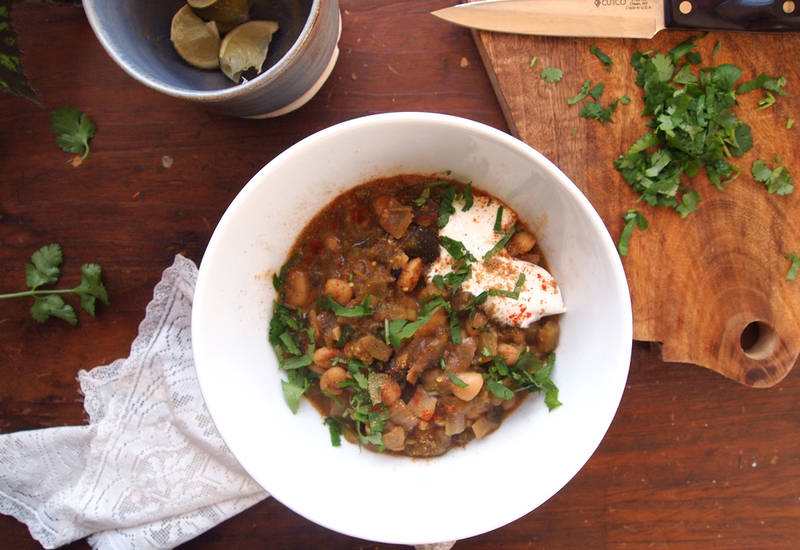 So yeah, I get to break rules this week and find comfort in a hearty, warm, chile-packed bowl of white bean chili. You should break rules too. (You can also serve this the Denver way. Poured over top a burrito). 1 bunch - green onions (slivered) I use it to about half way up the green stalk. Roast all the chiles until the skin is blistered and soft. You can either do this by roasting the peppers over the flames of your gas stove, rotating every few minutes (like pictured in the photo above). Or you can roast chiles in the oven, rubbed with a little oil, at 475 degrees for about 15-20 minutes, turning once. Once peppers are roasted, set them aside until they are cool enough to handle. Once cool enough, peel off the charred pepper skin and discard (keep just a few pieces of charred skin to chop up with your peppers). De-seed your roasted peppers and then chop them into small pieces and set aside for later. Chop up the garlic and onions, place into a large pot with 3TB of olive oil. Let the onions cook, stirring occasionally for 15 minutes. Meanwhile, drain your cans of tomatillos and dice them up, also slice up your green onions. Add in your cumin, coriander, chile pepper, and paprika to the onion mixture. Stir and cook for a minute. Then add in all your roasted chiles (along with the few bits of reserved charred skin) and green onions. Stir for a minute or two and then add in all your diced tomatillos and both cans of white beans. Stir gently. Then add 3-4 cups vegetable broth. If the chili seems too thick for your liking at this point, add in a little more vegetable broth. Bring the chile up to a simmer and add in the lime zest. Let it simmer for about 15 minutes and then add in the lime juice and cilantro. Add in salt, to taste, and also adjust your spices here, if desired. Serve warm, topped with a dollop of sour cream or thick greek yogurt with tortilla chips or pumpkin seeds. Today, I leave you with something short. This soup is one of my favorite dishes. We leave for Guatemala tomorrow and I could not be more excited (stayed toned on a future post featuring.... I don't know... Guatemalan chocolate maybe?). I've been frantically trying to eat up garden produce before we leave. Nothing is sweeter than summer squash straight from the vine (well, maybe summer tomatoes). This dish originally started with making Hedi Swanson's summer squash soup found in her Super Natural Every Day. The first time I made it was when I was living in Charleston, SC. I've been making it for 3 summers now and it has adapted into my own dish. I hope you do the same to yours :). Hot pepper - 1 (deseeded), chopped in half. (I've used every type of hot pepper here. I've tried jalapeño, ghost pepper, habanero, and thai pepper. My favorite is actually the ghost pepper but used whichever pepper you have or to your heat preference. Lemongrass (fresh) - 1 - 2 small stalks of lemongrass. The papery outer layers discarded. You only want to use the soft/tender inner parts of the lemongrass. 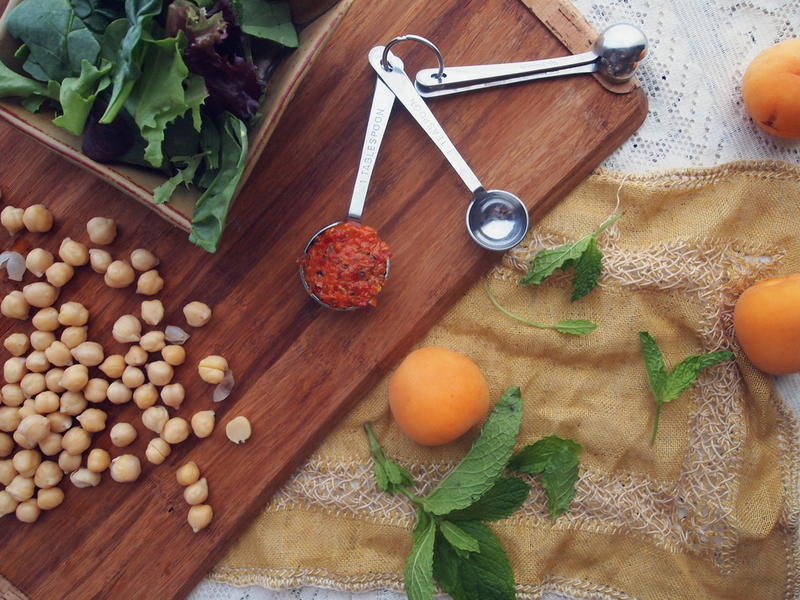 * Place all the curry paste ingredients in a small blender or food processor. 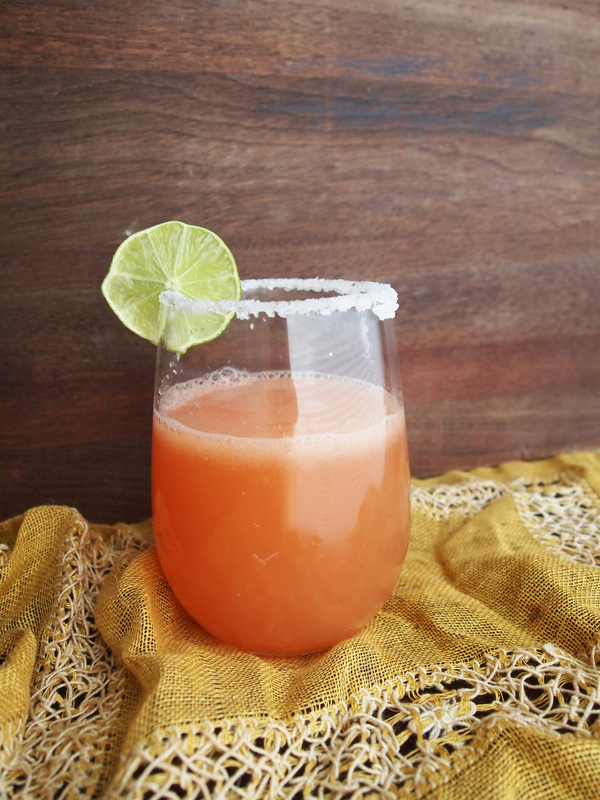 I use a small "magic bullet" type blender for this... it just works so well! Blend until smooth & set aside for later. Eggplant (optional) - I had a few baby eggplants that I added this time ( 3 baby eggplants), sliced really thin, like 1/8 an inch. * Chop up all your ingredients. 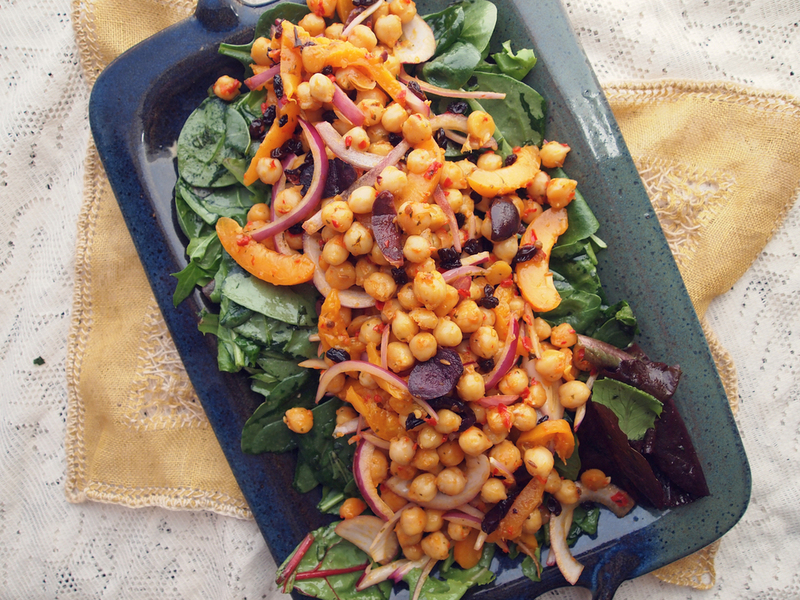 Place the squashes, eggplant (if using), and red onion in a bowl together. The tofu & cherry tomatoes can remain separate. Place 1.5 Tb of coconut oil in a large skillet and heat on medium heat. Once the oil is hot add all of your squash mixture. Cook over medium heat for 5-8 mins. Until all the vegetables are tender but still have a little crunch. You don't want them too watery & soft. Dump the vegetables back out into a bowl. Place the skillet back over heat and add 2 TB of coconut oil. Add in your tofu and cook on high, tossing frequently, until the tofu gets brown & crispy. After about 5 - 10 mins of crisping up the tofu add in the soy sauce & toss to combine. Dump out the tofu into the bowl with the squash. Then return the skillet to medium heat & add in your cherry tomatoes. Cook for a min or two until blistered. Then dump into the bowl with the rest of your veggies. Then get out a medium pot & heat it over medium high heat. Add in your last TB of coconut oil. Once it is hot add in all of your curry paste. Stir to combine & let bubble for 1 min. Then pour in your coconut milk. Stir to combine and let it cook for a min or two, until the coconut milk starts to bubble around the edges. Then add in your veggie broth. Let cook for a few more mins, until the broth is thoroughly heated through & bubbling. Add in your basil (reserve some basil for the top - if desired) & salt to taste (remember the miso & soy sauce is already pretty salty). Distribute the vegetable/ tofu mixture into four bowls. Distribute the brother into the four bowls evenly. Sprinkle basil on top, if using. * If you are saving leftovers, I would store the veggies & the broth in separate containers. 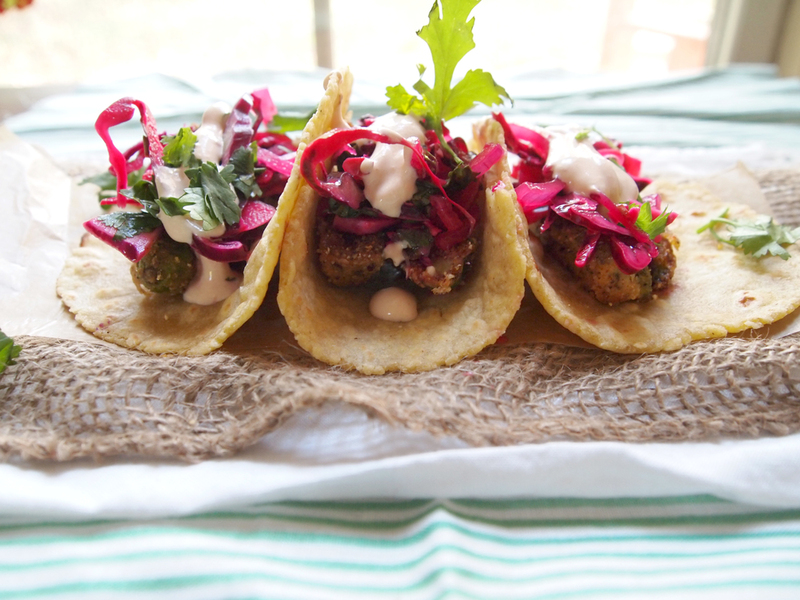 Vegetarian take on fish tacos: Cornmeal baked zucchini with purple slaw & adobo cream. Right now I'm surrounded by broken bits of twig, twine, and dirt strewn along the floor of my house and nursing hot glue burns. I'm sure my project feels like a cruel temptation to my dogs... as they eye my large stick sign with longing. One night, in the beginning of making the letters out of twigs, Banjo carried off the 'O' and drug its entrails through several rooms. I imagined this inanimate stick object fittingly groaning "oooooo" with agony as it was ripped to shards. I wish I had the sign done, it is oh-so-close, I would show you a picture. It is lovely, considering I needed something cheap out of what I had... which was sticks! Things have been busy lately... and not just because of stick signs. I apologize for absence but believe me, I want to be here with you guys! I'll have more words and photos for you all soon but I needed to make sure you were fed first. Sorry I don't have very many photos... It was too dark for good photos when we had a chance to make dinner, so I took a few of the next day leftovers. Now, I've mentioned that I believe tacos are the perfect food. I love them that much. I stand by my statement to the end. 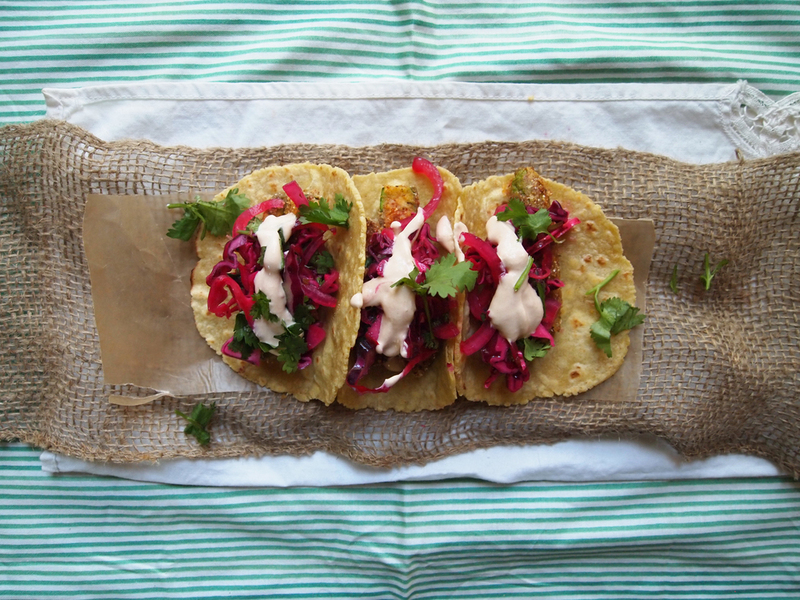 When things get busy and crazy, tacos slide into the menu often. This recipe, while not strikingly fall, is definitely a recipe you want to fit in before all the zucchinis disappear. You can find baby summer squashes at the farmers market right now since none of those babies will grow very big this late in the season. Of course, normal sized zucchini can be used if cut down to proper size. *When things are busy and I don't have time I have no problem buying pre-made tortillas. Sometimes it is fun to make your own though, but a tortilla press is a good investment if you plan on doing this. Summer squash - 1lb of baby squash (unusually little ones ya'll), but if using regular cut down to about 2" long sticks. Stir together the sour cream and adobo sauce in a separate small bowl and set aside until the end. Beat eggs in a small bowl, set aside, and then combine the cornmeal, flour, and spices in a medium bowl. Now, one at a time, take a zucchini (or zucchini piece) and dip it into the eggs, turn to coat, and then drop it into the cornmeal mixture, turn to coat, and then lay it on the baking sheet. Repeat with the rest of the zucchinis. Bake the zucchini for 10 minutes. Take out the pan and flip the zucchinis while brushing on a little more coconut oil. Bake for 10 more minutes. Serve a zucchini or two on a tortilla (tortilla recipe below), top with slaw, and then drizzle with the adobo sauce. 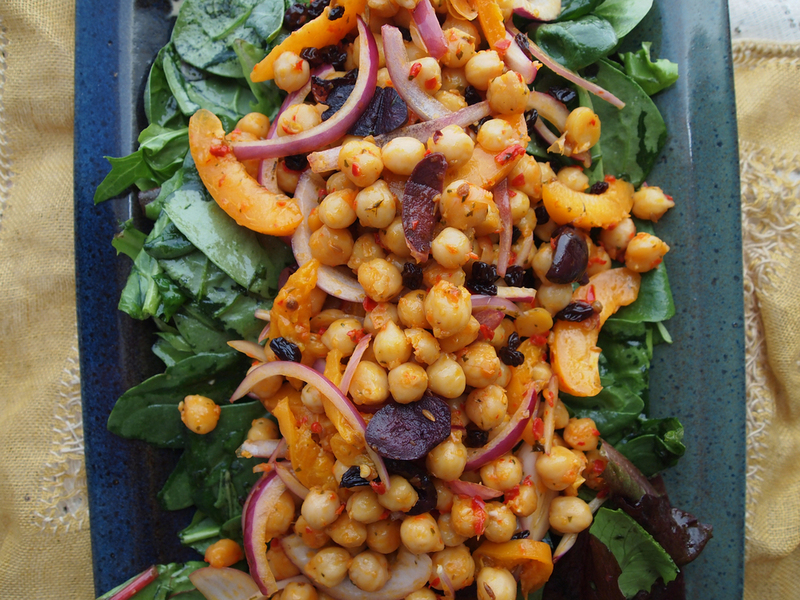 Enjoy this delicious piece of veggie heaven. Wax paper and a tortilla press. Mix together the masa, flour, and salt. Make a well in the center and pour in the water and olive oil. Stir together with a wooden spoon, slowly incorporating the sides until you form a ball. Then use your hands to get in there and knead until the ball comes together and there are no dry spots left. You don't want it sticky though... it needs more flour in that case. Add a splash more water if you think it is too dry. Make a thick disc with the dough and cut it into 12 wedges ( I cut mine into 16 wedges... but that makes really small tortillas). Roll each wedge into a ball, set aside. Cut off 6 strips of wax paper, big enough to cover the base of your tortilla press and place a skillet on high heat. Here comes the juggling part. Place a piece of wax paper on the bottom of the press, top it with one ball of dough in the center, and then top it with another piece of wax paper. Press down the tortilla press all the way and then lift up. Peel off the tortilla and then lay it onto the skillet (once hot). After a minuet, flip the tortilla. It should be slightly speckled with brown. Let the tortilla cook another minuet on the other side, if it starts to balloon up, remove from heat and its done! Repeat the process with the other wedges using both sides of the wax paper only once. 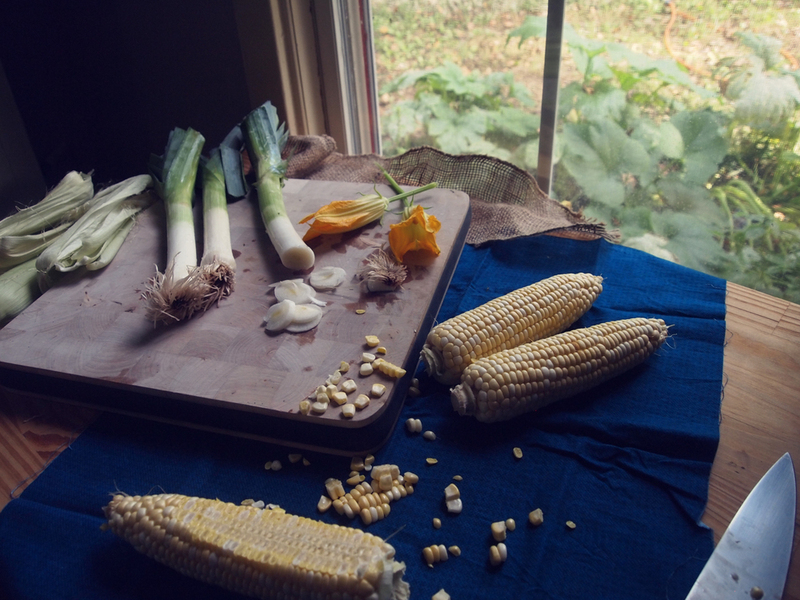 Leek, squash blossom, & corn chowder for the harvest moon. The moon is mysterious, wise, and beautiful as women themselves. I think all women have a little bit of the moon inside us. Illuminating the world at night, watching the earth at sleep. At some point all of us have been stopped dead in our tracks because of a gorgeous moon. We should do that every time. Early this morning was a most beautiful harvest moon or the corn moon. Where I am located, the moon wrapped herself up in an orb of soft, warm orange. I stood outside with Ty, my bare-feet in the cool dirt and hands cupped around a small bowl of corn chowder. This moon was particularly important to Native Americans and its light told them that crops such as corn, squash, beans, and wild rice were ready for harvest. The moon was so bright that it invited them to work late into the night harvesting plants in lady moon's bright glow. They worshiped their light-bringers, and we should be thankful for them as well. Almost all cultures/religions (Ancient Egyptians, to Chinese, to Druids, to Ancient Greeks, Early European, to North and South Americans, to Christianity) were heavily drenched in moon lore. All religions are still colored with the moon today, even if we do not realize it. One of the most carving experiences of my life was exploring the Mayan culture on a four day hike to Machu Picchu, where, among other things, I saw the Inca temple of the moon. During the hike, our guide taught us to pour out a little food from everything we ate to give it to Mama Pacha (mother world). It only makes sense to give a little back the the earth that gives us so much. I left my little bowl of chowder out on a stump under the glow of the harvest moon and mama pacha. This corn chowder is perfect as we approach the end of summer and welcome fall. Sits a fair form, arrayed in snowy whiteness. She is Chang-o, the beauteous Fairy Queen. Each robed in light, and girt with meteor zone.'" Mild cheddar - scant 1/2 cup, grated. Chop all veggies and have them ready. Place the 2TB of olive oil in a large stock pot on medium heat, add garlic, leeks and onions. Let them sweat and cook for about 5 minutes, stirring occasionally. Add in the sweet peppers, squash blossoms, sage, and thyme. Cook for another 2 minutes. Add in the broth, the potato, bay leaves, and corn cobs (with the kernels cut off). Let it simmer for 20 minutes. Add in 1/4 of the corn kernels. Let it simmer for another 10 minutes. Remove and discard the bay leaves and corn cobs. Pour the mixture into a blender and blend until smooth. Have a ladle, a whisk, and the blender full of soup handy. Return the empty pot to medium heat on the stove and add in the 2TB of butter, you are going to make a roux. Once the butter melts whisk in the flour and then, while whisking, ladle in the soup slowly. Continue doing this, whisking in-between ladle fulls until it is all incorporated. The soup will be a little thicker now. You are almost there! Keep the soup on medium heat and add then place another 1/4 of the corn kernels into the blender with the cream. Blend until smooth. Add the cream mixture into the soup and then all the rest of the reserved corn kernels and fresh spinach. Let it heat up at least another 10 minutes (not boil). Add your cheese and let it melt. Season it with salt and pepper, and serve warm topped with chives and squash blossoms. Figgy baked oatmeal with peaches, anise, poppy seeds, & flax. My Dad called me peachy as a child, it was his favorite nick name. Occasionally he will still call me peachy, especially if I am doing something a little childish. The other night I called my Dad and felt like I was making the phone call under peachy's alias. I was calling about my foot. A minor injury I've had in my foot for a good portion of the summer finally screamed "I've had enough" and burst into flames across my metatarsal and toes. My foot is so sensitive, swollen, and inflamed it makes it very difficult to walk, stand, or bend. I've been trying to hit it hard with some anti-inflammatory herbs and rest but it was so painful that night I called my Dad. I needed to tap into his bit of medical knowledge. I was ranting about my unrealistic concerns and spouting that my foot needed amputation or that I had a flesh-eating bacteria in my pain-induced delusion. I wanted him to say that it was ok to go to the ER but, in reality, I needed someone to talk peachy out of going to the ER... which my Dad did of course. I came back to myself, calmed down, took some medicine, complained to Ty, and went to sleep... the next day I still had my foot. Thanks for Dads and for nicknames like peachy. Thanks for peachy and figgy baked oatmeal. I'm still unable to stand/walk very much so I haven't been able to do much cooking but I made this baked oatmeal this morning and my foot is glad that I did. Preheat oven to 375 degrees and use 1/2 a TB of butter to butter a casserole dish capable of holding at least 6 cups. Melt 1.5TB of butter over medium heat in a large skillet. Once the butter is melted add in figs and peaches, caramelize for 6-8 minutes. Pour in the anise extract, stir, and turn off the heat. Pour the fruit into the bottom of the buttered casserole dish. If using, break the cinnamon stick in half and tuck into the fruit. (If you are using the ground cinnamon save it to add in with the dried ingredients.) Toss together the oats, almonds, poppy seeds, ground flax, sugar, and nutmeg (and ground cinnamon, is using). Distribute the oat mixture over the fruit evenly. Whisk together the milk, egg, honey, melted butter, and vanilla extract together. Pour the milk mixture over the oats/fruit evenly, trying to moisten all the oats. Place in the oven an bake for 40-45 minutes or until the oats are set and it is slightly golden. Serve warm and drizzled with a little extra melted butter, honey, or milk if desired. Summer squash & tomato cobbler + cornmeal drop biscuits. 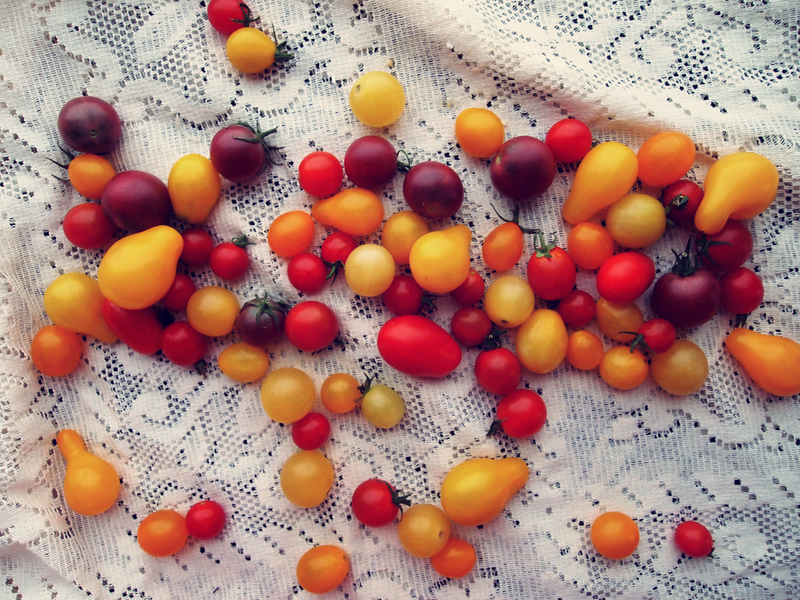 Days of fireflies, berries, porch swings, and tomatoes. The other day I was on a the phone with a friend and telling her about how I missed things about the southeast and I was thinking that it probably sounded crazy. I mean I already miss Colorado, I loved every moment with the Rockies, aspen forests, and elk grazing just a short drive away. Not to mention the last camping/hiking trip we took. I was overwhelmed with the possibilities and accessibility out there. I certainly find a lot of fault in the majority of politics and beliefs that radiate from the southeast but I still found myself missing it. Some friends out in Denver explained that they felt claustrophobic when on the east coast because while driving down the road there were trees on either side of the road. Out there the roads are wide open, flat land seamlessly ending into the silhouette of the Rockies. It is surreal, but it isn't home to me. I feel a little sad that the east coast and especially, the southeast, doesn't get enough glory in the natural beauty department when compared to the west. They both deserve admiration in different ways. The southeast with its sandy beaches, rolling dunes, coasts flecked with small islands and pockets of wild horses, marshy swamps of prehistoric palms, carnivorous plants, and mangroves. There are places deep in the coastal forest filled with the chorus of insects and birds growing so loud at dusk that your imagination is transported to an exotic jungle. Regions of rivers, streams, and lakes form such intricate watershed systems and secret swimming holes bursting with fish, crawdads, alligators, and sea monsters. Bogs and wetlands create undisturbed homes for boar, wild dogs, mosquitos swarms, and secluded humans who, in a way, are inhabiting a frontier too difficult to conquer. Ancient live oaks so gnarled and twisted and drenched in spanish moss, they produce a pattern of sunlight across the surface of the earth that slightly morphs and sways in the wind, like a kaleidoscope. There is evidence left of early Native Americans, their blood flows in most Easterners veins, and the sacred sites they left behind; jewelry, earth mounds, burial sites, arrowheads, shell rings, pottery, tears, stories, and mysteries. A patchwork of plains and farmland with seams of pillowy tree canopy embroidered with cows, horses, sheep, hogs, goats, wildflowers, and bunnies. The farmhouses and barns are so cozy and eternal, even the uninhabitable ones look like a home from a dream. Even the worst of suburbs are engraved with the footprints of deer herds, fox, raccoon, old growth trees, and early american ruins. The Appalachians are clothed in a happy thicket of trees with too many species to count, some of the most bio-diverse forests in the country. The Appalachian mountains are ancient, among the oldest on earth, being near them makes you feel more wise, makes you explore your own self. Hidden doorways open up from mountain faces and reveal limestone caverns so dark, cold, and deep that even the fish are blind. The caves harbor bats and other creatures of darkness, allowing the mind to run with stories of the imagination. They hide the secrets of Native Americans, war, prisoner escapes, and Tom Sawyer. Giant boulders seem to have both fallen from the clouds and poked up from the punctured crust of the earth, they form homes for curious black bears and their smaller friends. Hidden gorges and rock cities remain barely explored, with steep walls cradling pockets of teal water, fossils, and multicolored salamanders. The lands flecked with the ruins of our ancestors; stone mills, abandoned buildings, graveyards, canals, camps, forts, damns, waterwheels, cobblestone streets, some so overgrown that they are, in their own way, an undiscovered Appalachian Angkor Wat. Thunderstorms instantly turn the empty air into a forest with flashes of light illuminating raindrop trees and cracks of thunder shaking the ground, shaking your home, shaking you to the soul. Soils diverse and fertile produce the much loved okra, peaches, strawberries, blueberries, pecans, tomatoes, and walnuts, and children with berry stained fingertips and jars filled with fireflies. I could go on. We haven't discussed the architecture, sounds of rain on tin roof, creaking porches, and blue ceilings. The history of our country both good and bad, where the United States first set its roots. Or the dialect, language, culture, religion; a diverse people made up of unique groups such as Lowcountry, Immigrants, Native American, Gullah, Cajun, Creole, snake handlers, and others. I haven't mentioned the food, the gatherings, biscuits, catfish, fried green tomatoes, collards, hoppin' john, pound cakes, cobbler, grits, barbecue, dumplings, gravy, cornbread, gumbo, fried okra, cast iron skillets, and sweet tea. I could write an equally admiring bit about the west, hell, about Colorado alone, but it would be missing a certain amount of history, mystery, and controversy. I can get caught up in my frustration over certain things about the southeast (in history and in modern day) that annoy me, that disappoint and dishearten me. I forget about all the magic and wild that exists in our natural world here, in our history here. It is amazing and inspiring and I wish these things could be figureheads for the southeast rather than politics. I wish a lot of things. I think that if the land could speak, it would wish these things too. In honor of the beautiful things in our world, in our country, and yes in the southeast, here is a take on southern food from an untraditional southerner. Corn - 1 ear, fresh, kernels cut off the cob. Garlic - 4 cloves, 2 smashed and 2 minced. Fresh thyme - 2TB (scant) with the leaves pulled off from the stalk. Preheat your oven up to 450 degrees and cut up all your veggies. Toss the tomatoes (whole), squash, and corn together with 3TB of olive oil, 1TB fresh thyme, smashed garlic, and salt/pepper. Pour into your casserole dish and place into the oven when it is ready and roast for 20 minutes, stirring after 10 minutes. Meanwhile put the last 2TB of olive oil in a large skillet on medium heat. Add in the garlic and slivered onions to the skillet and caramelize for 20 minutes, while the veggies are roasting in the oven. After 20 minutes, take out the veggies in the oven and add in the caramelized onions and 2TB of sherry, toss together and return to the oven for 10 more minutes. While the veggies are roasting, mix together the flour, cornmeal, sugar, pinch of salt, 1TB fresh thyme, and a good amount of black pepper. Cut the cold butter into pea sized pieces and toss into the flour mixture. Add in the cream and stir into a dough. Add in a little extra cream if needed... you want the dough to be somewhat dry but stick together nicely. Store the dough in the refrigerator until it is ready to use. After the veggies have roasted for 10 more minutes (a total of 30) take out the dish, stir, and top it with big spoonfuls of the dough. Return to the oven for 14-15 minutes or until the biscuits are cooked and slightly golden. Top with cracked pepper and serve warm. So much has happened in the last few weeks that it is hard to know where to begin. In short, I was living in Denver, CO, spent a week wandering the desert, drove across the country, and now I'm back living on the east coast in Charlottesville, VA where my current surroundings resemble a rainforest. Things have been dramatically nomadic and I've been absent from this space for too long. Perhaps I am still not ready to explain everything, well, at least my emotions of coming back to the east coast, my mind is still deciding how I feel about it. I can however provide you with some delicious pizza recipes I have been sitting on for a few weeks (sitting on the recipe that is... sitting on pizza for that long would be, erm, um, gross). I figure you need to make these before all our beloved summer veggies disappear. 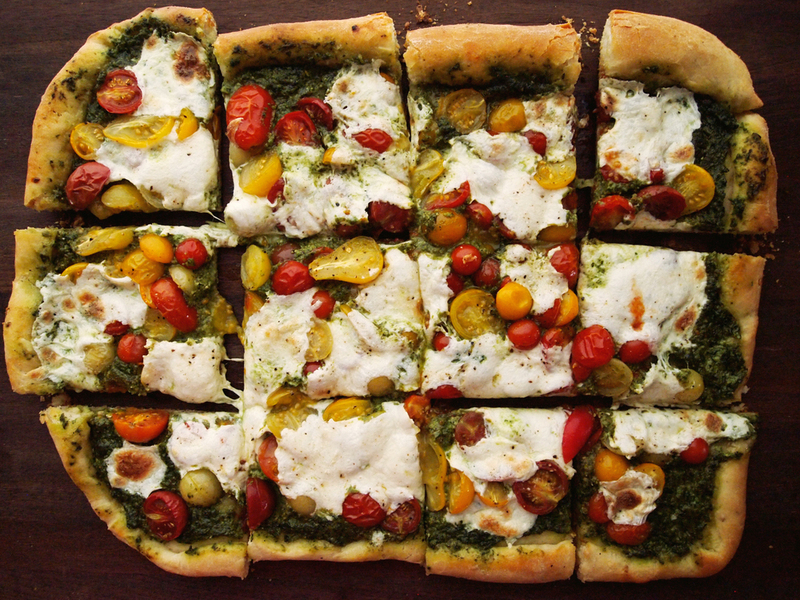 The first pizza, the basil pesto one, was inspired by happyolks, she is a love and so are her recipes. I made my own version of it recalling the beautiful photos in her post. The second was concocted from a desire to use some garden eggplants and my love for baba ganoush (a spread related to hummus but with eggplant instead of chickpeas). The eggplant pizza is amazing, my definite favorite of the two, but... why do you have to pick when you can make both? I do want to share with you the experience of camping in the desert for a week. 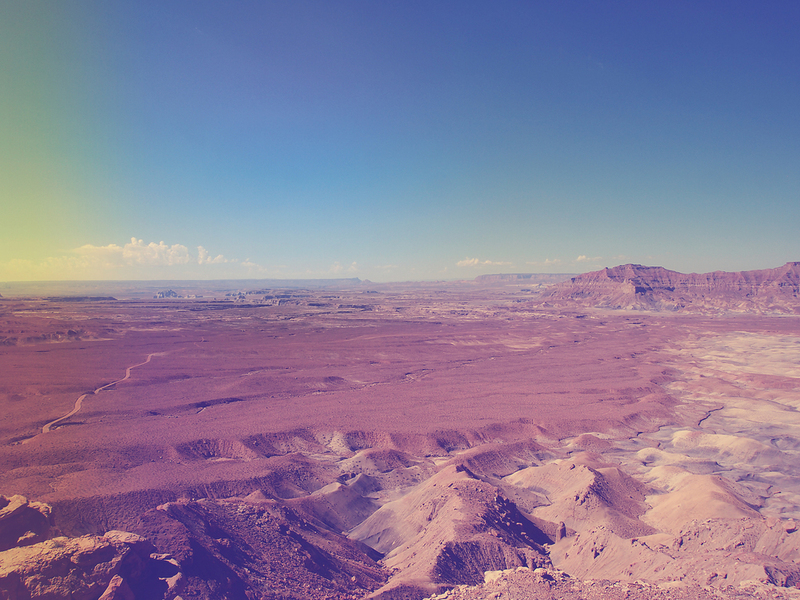 The harshness and beauties of the desert are so extreme that I barely feel as if it happened. While you are there, the intensity of emotion and feeling is so strong, that when you look around and there is no one else in sight for miles, you kind of have to question if it is reality. The first day was spent driving through western Colorado and pretty much, all of Utah. Utah is a drastically changing landscape. It is as if Utah decided to mimic a rubrics cube throwing on various faces of mountain, desert, farmland, and forests as easily as shifting squares of color. We ended our tour de Utah when we reached Zion National Park, but since we arrived so late in the day all the walk-in tent sites were full. In the state of Utah you can camp anywhere on public land for free and we cozied up on some BLM land near Zion. The skies were beautiful and streaked with meteors during the peak of Perseid meteor shower. Out there the skies are so huge, it appears as if the meteors last longer, their tails slowly fading out instead of quick flicks across the sky. The next day we hiked around Zion and up several miles into the canyon carved out by the Virgin River. 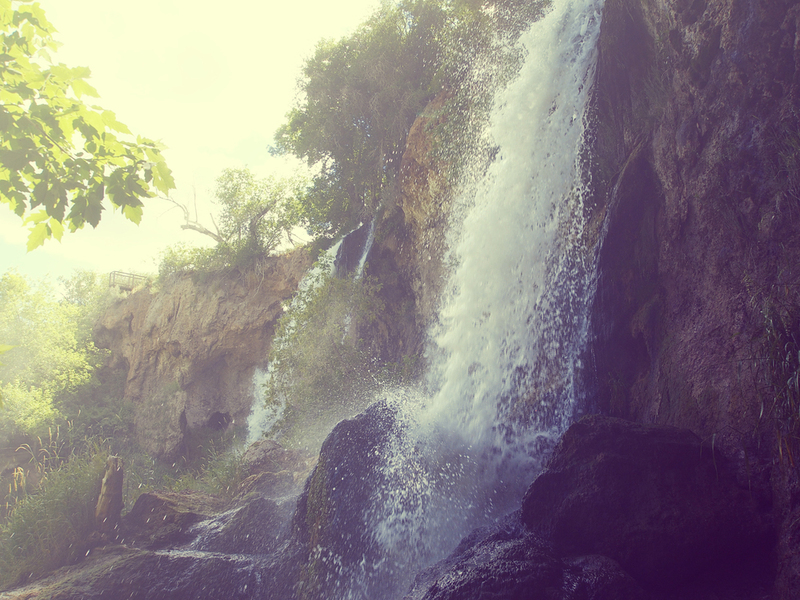 Wading up the shaded canyon in the cool waters felt like paradise contrasting against the heat of the desert sun soaked into our skin. I couldn't help but think of pottery while rubbing my hand across the sandstone walls, layers of minerals deposited in a most unique glaze. The Virgin River: master sculptor. 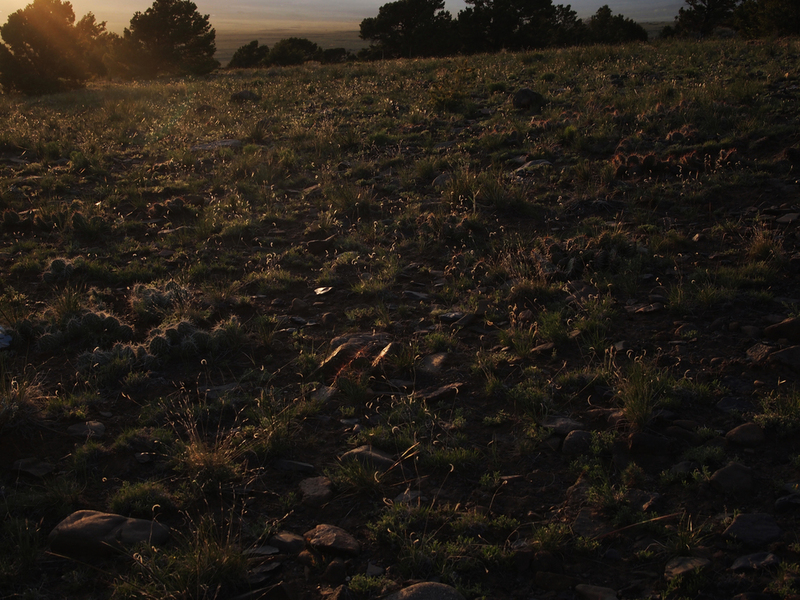 WIld buffalo grazing, painted skies, and lush aspen forests were in our future at the North Rim of the Grand Canyon. Did you know the north rim is heavily forested? You could be lost in there for days never guessing you were in Arizona. The Grand Canyon is unbelievable... read it the way some people pronounce it with emphasis... un-be-liev-a-ble. It really is. Standing there the canyon does not only smack you with beauty but with questions of history and expanse of time. I couldn't help but envision the landscape as relatively flat with the snake of blue Colorado River flowing through it and then watch it carve and chip away the layers of earth into the vision I was seeing before me. The temperature was a pleasant 77 degrees and dipped down to 40 during the night as we slept huddled under the branches of aspen and pine, watching shadowy figures of deer grazing nearby through the window of the tent. While driving to Glen Canyon we got sent on a very long, unexpected detour through Arizona. We will call it 'taking the scenic route.' When we reached Glen Canyon we grabbed a forest road map and picked a road the headed towards the water. The road was an unpaved dirt road that criss-crossed over several dry washes and through mini-canyons and opened up to a sandy bank. As the only ones out there; we spilled out of the car and headed straight for the water where we spent the rest of the afternoon. The sky faded into brilliant color over the lake, reflecting a perfect image of the horizon's beauty right back up to the sky as if she were admiring herself in the mirror. We decided to camp out there since we found campfire rings left behind from previous folk. We wished for no rain for the road getting back would be flooded and we'd be stuck until it dried out, and fortunately, luck was on our side. All night long I heard the excited yipping, yapping, and howling of coyotes hunting for rabbits and birds. They get especially loud after making a kill. I've camped and lived around coyotes, hearing them in the night is not a new thing for me, but I've never heard them that closely before or ever that many. I never get tired of listening to them, they are beautiful. I had visions of popping a car tire on the treacherous roads we drove out on the next day, I worried we would be stuck in the desert waiting for someone to come along and rescue us. We would have to drink the melted ice water in our cooler to stay alive and when that ran out I'd be searching for yucca root and we would be half-dead when someone found us. Dramatic? Yes, but that is what my mind does. It took us 4.5 hours to go 40 miles on this dirt road until we finally reached the highway. In the beginning we drove up sandstone mountains to the top of the plateau, the view was phenomenal and terrifying. We realized it was too late to turn around and we were on this road for the long haul, avoiding loose boulders and sharp rocks. The arid landscape stretched on forever and I became very familiar with the twisted and gnarled trunks of juniper and the skeletons of creeks that resurrect during rain. We spent the day and night at Capitol Reef National Park. This place is so appropriately named, I felt like I was walking through a coral reef of red sandstone flecked with lush green plant life exploding from the river, just like tropical fish pop with colors against the unending blue of the sea. 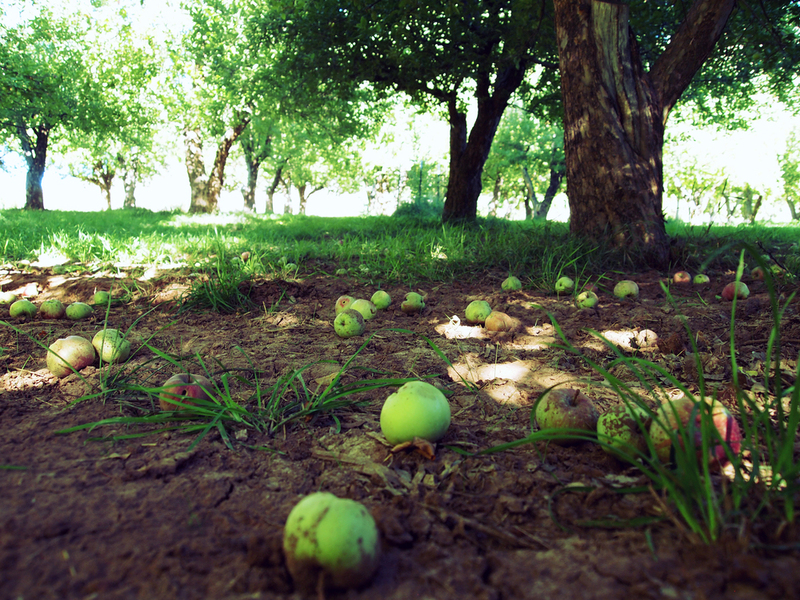 Early mormon settlers came to this place and planted acres of orchards, irrigating them with runnels from the river. It seemed surreal, a weird sort of oasis wandering under the dappled shade of apple, pear, apricot, cherry, and peach trees with the views of dry sandstone desert moving into view at the end of the rows. There is so much life and hidden history of the desert. 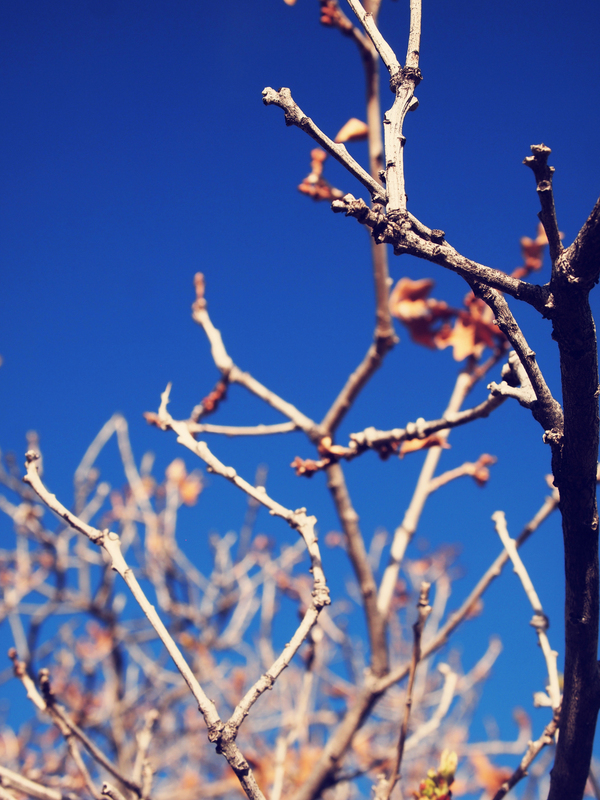 Despite how harsh the desert is, it can be so life-bringing, so colorful. 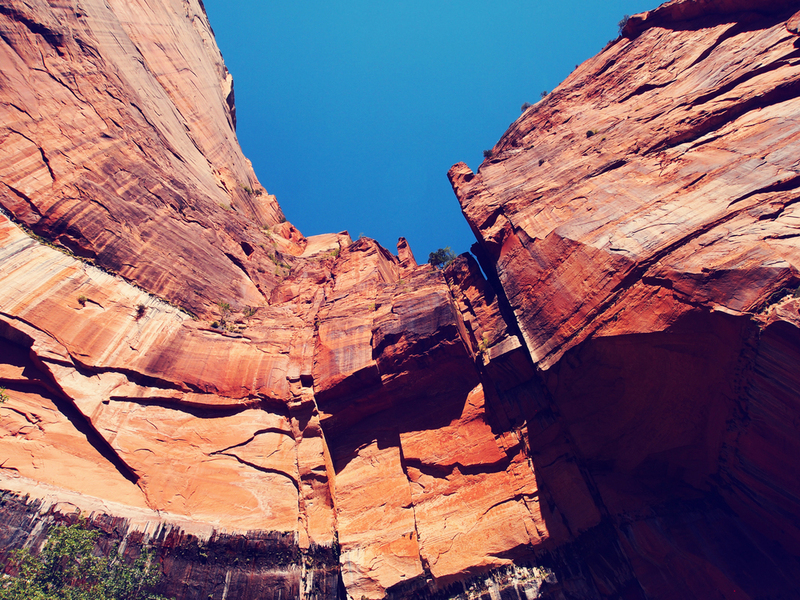 The bands and palette of reds, browns, and orange that streak through rock faces in layers. The brilliant papery blooms of flowers, the deep greens of foliage and cactus. The grays and whites of dried juniper trunks. Huge flows of green that kiss alongside the rivers, cutting the red landscape into two pieces. Pristine teals of river water paved in every imaginable color with stones sanded into smooth rounds. The skies at all times of the day; the morning with their soft glows of color, mid-day it is an idealistic sky with blues so bright and clouds billowing as if it was ripped from a storybook page, and the sunsets are vibrant bands of color growing more intense until the sun blinks out and the milky-way emerges with not a single artificial light to compete with it. I'm continually amazed at the early Pueblo people and other Native American tribes in the four corners, how brilliant and intuitive these people were/are. At the end of our trip we got to spend time at Mesa Verde, I long to be able to live like that. I'm devastated that those civilizations ended and mystified as to why. I'm even more devastated at the ending of later Native American civilizations, and ashamed as to why that happened as someone who comes from both European and Native American descent (like many of us do). The four corners region, culture and landscape is perhaps, one of the oldest regions in the country, the most amazing, and it still feels like a secret. Pumpkin seed oil. Ok ya'll, you really should get some of this stuff. Not only does it have amazing benefits, especially good for vegetarians as an omega source, but it tastes awesome. It has a deeper, almost smokier flavor, obviously very reminiscent of pumpkin seeds. I get mine from here Mountain Rose Herbs and theirs is cold pressed, organic, and unrefined. In this pesto recipe you can of course substitute the pumpkin seed oil for olive oil, but if you get around too it, try the pumpkin seed! Place warm water, sugar, and yeast in a bowl and whisk until dissolved. Set it aside for 5-10 minutes until it begins to foam. Meanwhile mix together the flour, flaxseed, and salt. Then add the olive oil into the water/yeast mixture. Make a well in the flour and pour in the water/yeast/oil mixture. Slowly stir together until moist and knead until slightly tacky but not sticky. Adjusting with a little flour or water as needed. Knead with your hands on a floured surface for about 5-10 minutes. Place the ball of dough back into an oiled bowl, cover with a cloth and let sit in a warm place for about 2 hours or until doubled. Meanwhile prepare the pizza toppings. After two hours, turn the dough out, divide it in two. Also, a recommendation is to make the eggplant pizza first, since the eggplant needs to cook first. Baba Ganoush, sweet pepper, and arugula salad pizza. Eggplant - 1 small/medium eggplant. Preheat the oven to 450 degrees. Place the whole eggplant in the oven on a baking sheet on the top rack and place another baking sheet filled with hot water on the bottom rack. Bake the eggplant for 30-40 minuets. Meanwhile chop up your sweet peppers into slivers. Remove the eggplant and let it cool until you can handle it. After you take the eggplant out, reset the oven temperature to 500 degrees. Once you can handle the eggplant, peel the skin off and discard the skin except for a few, small pieces. Add in the eggplant and few skin pieces into a food processor or blender along with juice of 1.5 lemons, tahini, and salt. Drizzle in olive oil while blending and stop when it has reached a consistency similar to hummus. Roll out your pizza dough on a flourd surface and transfer to a baking sheet. Spread over the eggplant spread (baba ganoush), top with the slivers of sweet peppers, then sprinkle over feta (omit for vegan), and then sprinkle over cilantro. Rub the crust edges with olive oil and then bake in the oven for 10-15 minutes or until golden. Meanwhile massage the fresh arugula in a bowl with the rest of the lemon juice, a drizzle of olive oil, and a sprinkle of salt/pepper. Once the pizza comes out of the oven top it with the fresh arugula. All ready to be eaten! Fresh basil - I packed a 5ounce salad green container with basil from my garden and used that much. So about 5oz weighed. Cherry tomatoes - 2cups, generous, sliced in half. Feel free to use more or less.. I just purchased so many. Fresh mozzarella - 8ounces or to preference. Fresh pepper - cracked over top. Preheat your oven to 500. Throw the basil, arugula, garlic, pine nuts, and pumpkin seed oil in a food processor or blender. Blend until smooth. Drizzling in a little extra oil as needed. Taste and adjust for salt/pepper. Set the pesto aside and slice your tomatoes. Roll out your pizza dough on a floured surface, I rolled mine out to fit a baking sheet since I did not have my pizza stones in Denver. Transfer your dough to the baking sheet. Spread over the pesto, I was generous with the amount but I had pesto left over. Spread the cherry tomatoes halves evenly and then tops with tears of mozzarella. Rub the crust edges with a little olive oil (optional). Bake in the oven 10-15 minutes until the pizza is golden brown. Crack over some black pepper and enjoy! Heavy air, dew drenched leaves, forests filled with cicadas and fireflies. The east coast can be a magical place. Especially, the south. Salty costal air, wise old mountains covered in blankets of poplar, oak, and pine, summers bring the juiciest tomatoes, crisp pods of okra, and the sweetest peaches. I'm enamored with the world, traveling is a love affair with the experience and the new perspectives it brings. I've been to more continents than I have not, seen many of our states on both sides of the country, and called quite a number of places home. My collection of experiences is far from complete but, slowly, I feel the call and yearning for the east coast. The other day I glanced through a magazine and inside was a set of gorgeous pictures from Charlottesville, VA, the place I was living before Denver. The pictures were taken at the gardens where I use to intern and I remember being there that morning when the photo shoot was in motion. I didn't pay too much attention to the shoot and I glanced through that magazine purely by chance. Yet, it awoke something in me. I took for granted the beautiful views of the rolling mountains fading into a soft blue. I knew I loved it, I just didn't realize how much. This dish, Borrani Banjan, is an Afghan dish that we regularly ordered from our favorite restaurant back in Virginia. An Afghan restaurant called Arianna's. My version is a bit thicker and less oily but still uses a generous amount of oil. It's the perfect dish for my current mood. Something to remind me of home, but also a dish that draws near a foreign culture, balancing a love for home and a love of the afar. 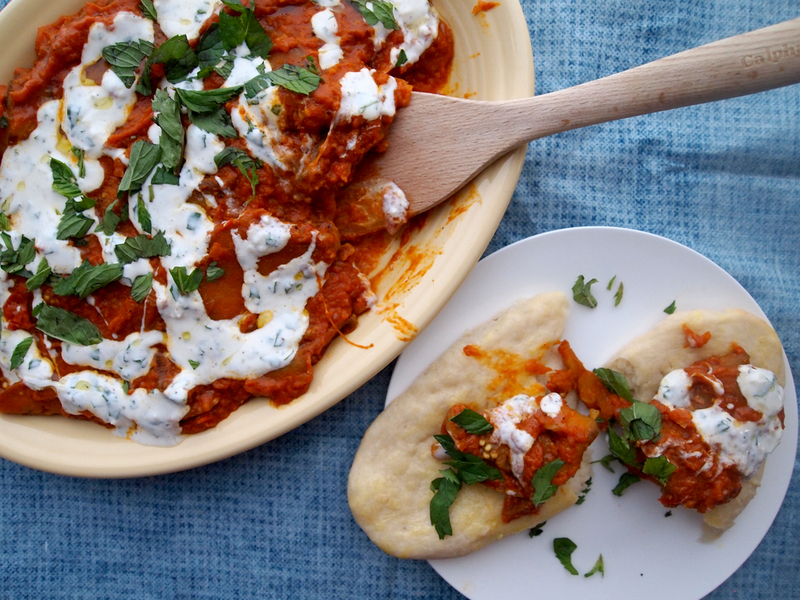 Borrani Banjan is traditionally a friend eggplant dish severed in an oily tomato pureé, drizzled with a yogurt sauce and eaten with warm, Afghan bread called Nan. I made a few modifications so it wasn't quite as oily, and I baked the eggplant instead of frying. Now a quick word about oils and fats. Oils and fats are good for you, hear me scream it from the rooftops! You need fats, they are essential for your body to process certain nutrient and proteins, good fats do not increase unhealthy cholesterol. Actually, they help lower you unhealthy cholesterol and increase your good cholesterol (HDL). Good cholesterol is needed to build cells and produce hormones. Oils/fats are all different and since most of us use oil in almost everything we cook, even if it is just a little, you need to pay some attention to what oil you are using. So most cooking oils are in the category of good fats which are monounsaturated and polyunsaturated fats although they aren't all equal. I typically always use organic extra virgin olive oil and I look for oils that have been first-pressed and cold-pressed because this oil will have the highest percentage of monounsaturated fat, the good type of fat. I want it cold-pressed because heat breaks down oils turning them rancid and creating free-radicals, which destroy your body, essentially, by aging you. I don't want my oils to have ever been heated before I use them. I typically like to use olive oil on no higher than medium heat so I do not break it down. This brings me to coconut oils, which is a saturated fat. Wait? A saturated fat? Yes, saturated fats typically are bad fats, but tropical oils (coconut oil) do not contain or contribute to LDL (unhealthy cholesterol), they are the exception to the rule. Coconut oil is also solid at room temperature, and it takes a higher heat to break coconut oil down. It is why I tend to use coconut oil for all my high-heat needs. Plus, its really tasty. When looking for coconut oil make sure you do not buy a hydrogenated version, and look for a virgin/organic version. I know, oils can be pricey, but really... this one is all about your health, you use it in everything. The very best coconut oil I have ever had is from Mountain Rose Herbs. It is very fragrant, more fragrant than any coconut oil I've had, and tastes fantastic. There is no comparison to the brands found in the store, plus, for the quantity and quality, the price is better than store versions. After I tried their coconut oil (virgin unrefined), I'll never go back, here is the link to their coconut oils. Enough of me talking about fats... my fat, your fat, all the fat! yay! Now lets get down to business with this Afghan food! You might want to have the bread made before making the eggplant dish and then reheat before serving. Just lower the oven temperature to 400degrees after making the bread to get ready for the next step. I slightly modified the recipe from here . Usually this bread is cooked in a tandoori oven so this is an adaption of the traditional version. Dissolve the honey and yeast into the warm water in a bowl and set aside 5-10 minutes, it should start to bubble and froth up. Meanwhile mix together the flour and salt in a large bowl. After the yeast mixture as frothed up add in the oil. Make a well in the center of the flour mixture and add the water/oil mixture gently. Stir the mixture together with a big wooden spoon working from the center out but the mixture is solid enough to work with your hands. Knead for about 10 minutes. Place into a oiled bowl and cover with a cloth and leave in a warm place for 2 hours. Preheat your oven to 500 degrees with a greased baking sheet or stone inside. Punch the dough down, divide dough into six balls, and flour the work surface. Roll each dough into an oil with a rolling pin and stretching with your hands until they are between 1/4inch - 1/2inch thick. If desired you can mist the bread and then sprinkle over some black sesame seeds. Once the oven is hot, remove the pan or stone and place the bread on top and then return the stone to the oven. Cook for about 5 minutes, check, and then cook 5 more minutes. The break should be slightly golden. Good quality curry powder - 3-4TB I used curry from here if I don't make my own. Chop up all your veggies and have them ready and then mix together the yogurt, 1 clove of minced garlic, mint, and a pinch of salt. Set aside for later. Heat your oven to 400 degrees. Lay the eggplant slices onto a baking sheet, brushing each side with coconut oil. Bake in the oven for about 8 minutes on each side. Meanwhile, heat the coconut oil on medium high heat in a large, deep, skillet. Add in the rest of the garlic and the onions. Cook for 3-5 minutes until fragrant and beginning to soften. Add in the tomatoes. Cook for about 10 minutes and then add in the tomato paste. Stir until combined. Cook for several more minutes. Pour the mixture into a blender and blend until smooth. Dump back into the skillet on medium heat. Add in the curry powder and generous 1/2tsp of salt. Cook for a few minutes and then taste and adjust for the spices. Drizzle in the olive oil and stir. Add in the baked eggplant and stir to coat. Pour the eggplant mixture onto a platter and drizzle over the yogurt sauce and then garnish with a bit more mint, if desired. Serve spooned over the nan. 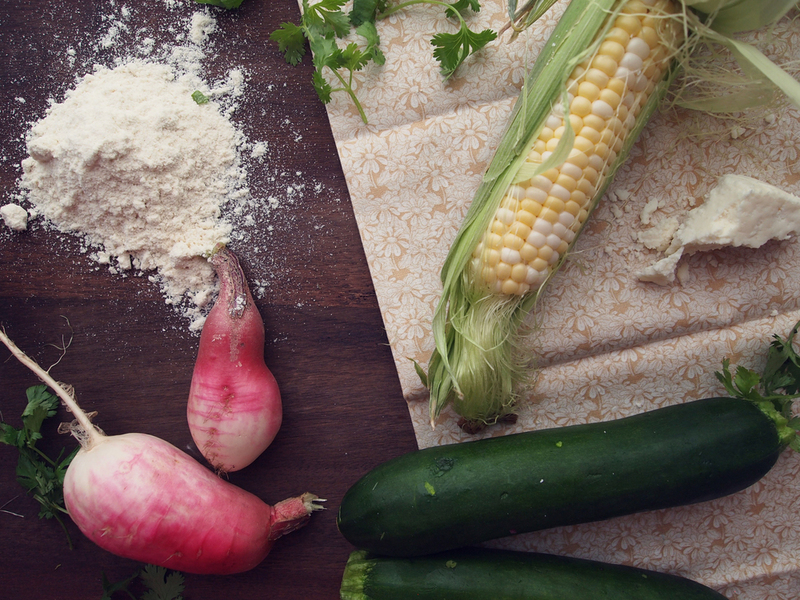 Summer tamales with zucchini, radishes, & corn + tomatillo salsa. My first encounter with tamales had me swooning. Served up piping hot from a pit dug into the earth and covered with palm branches. I waited for those tamales anxiously, watching the heat waves flicker over the pit causing the snow-capped Andes Mountains to dance in the background over the faint linger of corn in the air. Opening up the husks revealed the steaming little package of masa flour and vegetables. I couldn't wait to dig in. Since then I have had tamales in restaurants, food carts, and at farmers market stands. Perhaps because of the memories I have tied to tamales, I always make the same mistake, a painful mistake. My poor tongue probably cowers at the site of masa because I always burn my tongue. I am too impatient and never wait long enough for the centers of the tamales to cool a bit. It's ok tamales, I still love you. Corn husks - 15 corn husks + a few extra in case the amount varies. Mexican oregano - 1TB dried or several TB fresh. Jalapeno - 1 small, chopped, remove seeds or not (depending on heat preference). Cover the corn husks in a bowl with hot water and leave to soak while preparing the tamales. Mix the masa with oregano, cayenne, salt. and lime zest. Add in 2 cups of hot water and 4TB of coconut oil, mix until combined. Leave the masa mixture to sit while preparing the filling. Chop up all the vegetables. Heat up 2TB of coconut oil in a large skillet on medium heat. Add in the garlic and cook for a minute and then toss in the zucchini, radishes, and corn. Cook for about 5-7 minutes until soft and then crumble in the cotija. Stir until combined and then turn off the heat. Drain the corn husks and then start heating up your steamer so that it is ready for the tamales. Begin filling up your tamales by pressing in a scant 1/2 cup of masa in the center of your corn husks, leaving a border. Then spoon in the filling, about 1/4 - 1/3 a cup. The filling amounts will vary depending on the size of the corn husks, just do what feels right. Start rolling together the tamales curling the masa over the filing and roll the tamale into a log and then pinch and fold in the bottom and top edges. Kind of mold the tamales together with the palm of your hand to make sure it is compacted. Repeat with the rest of the corn husks and then place them all in the steamer and steam for 30 minutes. Place all salsa verde ingredients in a blender or food processor and process until it comes to a salsa consistency. Unwrap tamales (make sure to let them cool a bit!) and top with salsa verde plus garnishing of cotija, slivered radishes, and cilantro - if desired. Vermicelli + coriander carrots, edamame, & a lime-tamari sauce. I started a new book of short stories while on our last camping trip by Rebecca Lee called bobcat and other stories. There is a certain part of the story where the narrator gets a new perspective of the words 'this' and 'that' while enjoying a cup of coffee. She points across the room and asks if "[she] could have some of this cream." Most people would ask if they could have some of 'that' cream when referring to something across the room. Turns out, it is a philosophy when using the word this or that. It depends on your personal perspective on what you consider close to you or not. This little moment resonated with me quite strongly. One of those moments where you stop and re-read the sentences a few times over. Reflecting back I probably only use the word 'this' when I can physically touch an object, obviously, this is my comfort space. I do tend to be somewhat of an introvert, even if it is not immediately evident, but am I really that closed off? I suppose I have been more aloof than usual because I have no idea where my life is headed come August. It is exciting but scary, I am almost paralyzed by the freedom of it. I can dream for hours about what doing 'that' job or moving to 'that' place would be like but nothing has reached the status of 'this.' Nothing feels at home to me. For now my 'this' place has to be the life of a transient voyager and my 'this' place is in food. I can transcribe this same feeling and personal choice of using the word 'this' or 'that' to choices in food. There are some dished when you see a picture of it or you read the description, this is it. This dish just gets you. I definitely order foods at restaurants this way... and sometimes I miss out because 'that' dish is not close to me. Vermicelli is one of those dishes I typically ignore. Most of the time it is because it is drenched with fish sauce and even if I order it vegetarian I usually end up with a midnight stomach ache and fish poots. Never fear, this fish-free vermicelli is here. *You want to prepare the carrots/cucumbers in this recipe several hours beforehand at least, so they can marinate. Preferably overnight. Carrots - 3 whole, large carrots, peeled and then cut into thing strips with a peeler. Cucumber - 1/2 small cucumber, peeled and cut into large matchsticks. Edamame - 1/2 frozen bag (just the bean, no pods). Ginger - 1 inch of fresh ginger, peeled and minced (or finely grated). *Peel and cut the carrots and cucumbers. Place them in a 2 cup mason jar and add in the coriander and fennel seeds. Then cover with rice vinegar mixed with a little water. Let it sit out for several hours at least, overnight it best. The marinating liquid can be kept in the fridge and re-used. Cook the rice noodles according to the package. During the last 3 minutes of the rice noodles cooking add in the frozen edamame so they de-thaw. Once cooked, drain the noodle/edamame mixture in a colander and rinse with cool water until room temperature. Slice up all your veggies and have them ready, including the ginger. Add in 1TB of sesame oil into a small skillet on medium low heat. Then add in your ginger and let cook for 1 minute. Add in the mushrooms and cook for about 5 minutes until soft and slightly brown. Turn off heat and shake in a scant TB of tamari. Set aside. Mix together the honey, 3TB tamari, 1TB sesame oil, lime juice, fresh herbs, splash of rice vinegar, and a good squeeze of sriracha or large pinch of chile flakes. Place the dressing in a large bowl with the noodles/edamame and toss together until coated. 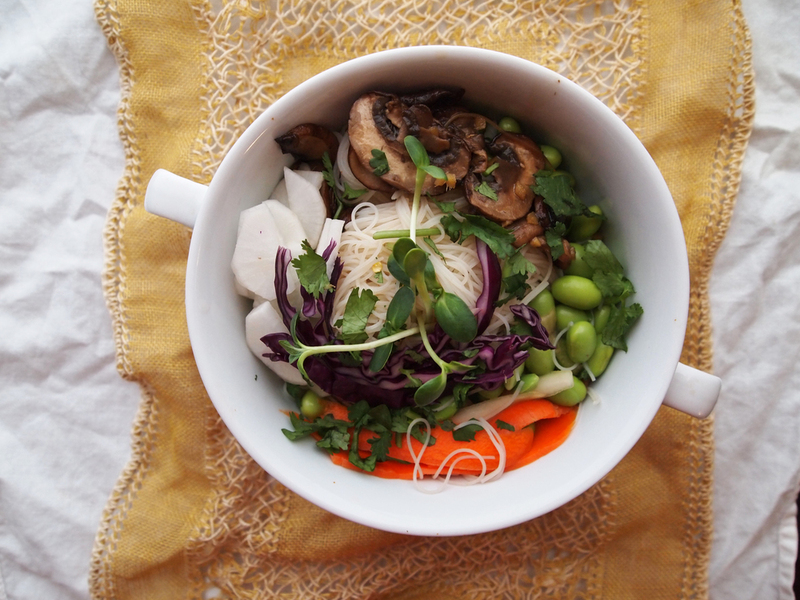 Distribute the noodle mixture into four bowls and top each bowl with a small handful of each vegetable (the carrot/cucumber mixture, fresh red cabbage, fresh daikon radish, gingered mushrooms, and sprouts. Top with some more fresh cilantro, thai basil, and sriracha if desired. I can't even begin to explain all the thoughts that go through my head on a daily basis, equal parts rational and irrational. Last weekend we went rafting the arkansas river and there was a moment in calm water when the guide asked everyone in the boat what they did. I responded with... "I don't know what I do yet." The whole boat responded with silence. I kind of felt like I had just been flung out of the boat. Since leaving my jobs/obligations behind in Virginia and moving to Colorado I have been applying to full-time jobs, and nothing has quite worked out yet. I do a few other creative things on the side but nothing that provides with me a solid, reliable, income. I feel like I am putting too much hope into that one, perfect, thing and maybe I am wrong in that. There is value in everything and as much as I live by exploring, dreaming, and discovering I am too stationary right now. I need to dive into something, forget any little tid bits of fault I find, and go for it. As Mark Twain advises, the only thing I'll regret is not doing it rather than the latter. Speaking of rafting, I did a considerable amount of cooking on the raft... and by that I mean with the two main ingredients consisting of the sun and my legs. My thighs have swelled up like plump little tomatoes. So you can picture me waddling around in my leggings and bathing in lotion despite the fact that is is summer and I want nothing to do with leggings. I only wish I had already had my sunburn remedy prepared... alas, this grilled zucchini over couscous salad will have to do. Zucchini - as many as you feel like eating (I made about 3 medium ones) cut into thin strips. Salt & pepper - I like to use coarse sea salt here and generous amounts of fresh cracked pepper. Fill a medium saucepan with 3 cups water and a pinch of salt and bring it to a boil. Add in your couscous and turn off the heat, let it sit covered and absorb the water. It will take about 15 minutes or so. Meanwhile, chop up all your other ingredients. Once the couscous is ready, pour it into a mixing bowl and fluff with a fork while adding in 2TB of olive oil. Add in your chopped radishes, green onions, kalamala olives, and parsley. Stir, then season to taste with salt and pepper - I am pretty generous with it. I also think it would be delicious to add in some almonds or walnuts here. Set the come to couscous aside to come to room temperature. Place your other 2TB of olive oil, 2Tb of mint (reserving 1TB) and zucchini strips in a bowl and toss. Season with just a little bit of salt and pepper (a pinch or two) but not all of it. Heat up your grill or grill pan and then lay your strips of zucchini over and cook about 3-4 minutes on each side. (If using a grill pan, squeeze over the juice of a lemon and shake for a minute before dumping out onto a platter.) 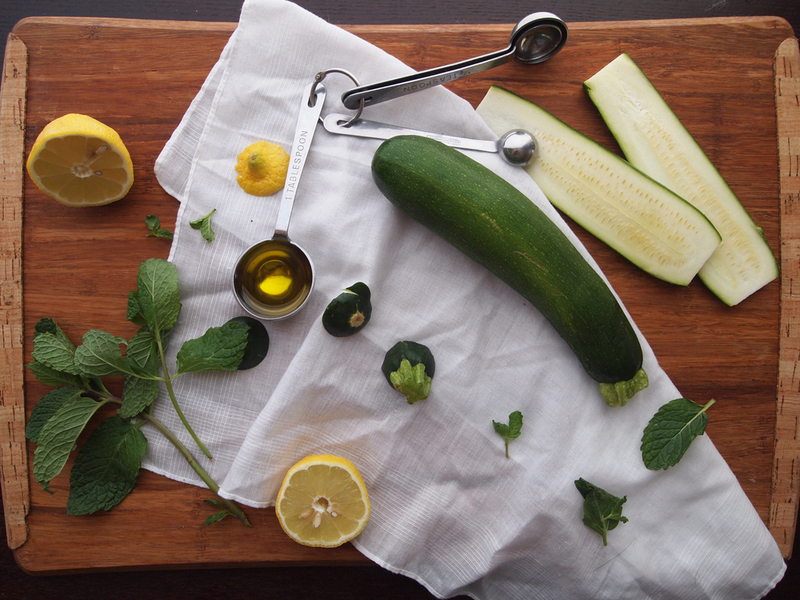 Remove the zucchini onto a platter and squeeze over the lemon juice and top with more course salt, cracked pepper, and the last TB of fresh mint. 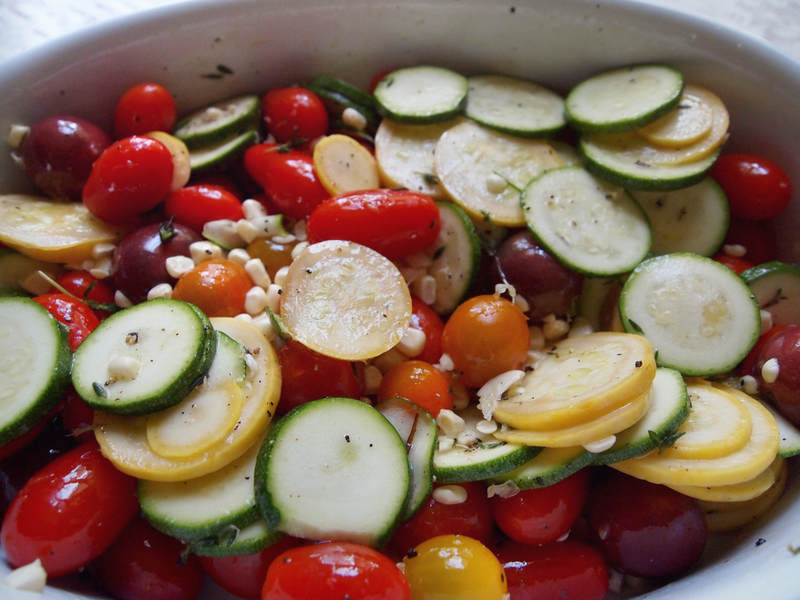 If there is any oil left in the bowl from tossing the zucchini, then drizzle that over top too. Serve the zucchini over the couscous or on the side. 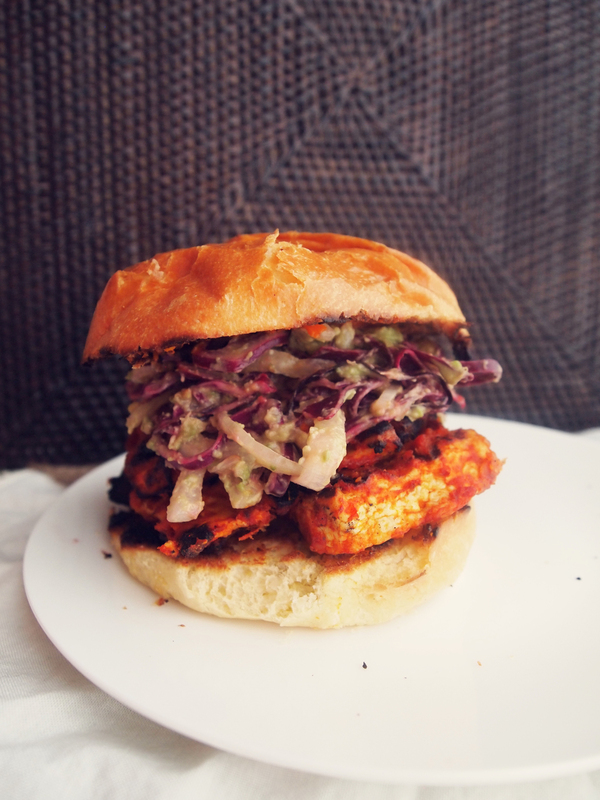 Tofu-q with a habanero, apricot bbq sauce + avocado & cabbage slaw. I'm sitting here in a coffee shop near my house enjoying a big cookie and a cappuccino, with two dogs at my feet, and acting like I've been a Denver resident my whole life. Ok... maybe thats how I feel but, in reality, I probably don't look that way. Especially when I get on the light rail and ride 10 minutes before I realize I should have been on the bus, abandon mission, and trek half-way through the city by foot. This coffee shop has some parallels to the shop I worked in during college, so I really like it. It serves up giant cookies like the onces we baked, has comically large milk pitchers, offers you drinks in pint glasses meant for beer, has a large loose leaf tea selection, friendly baristas, bakes in-house, is next door to a bar, has a well-loved and welcomed slightly-crazy, semi-homeless person who leaves his bag behind the counter, is not over-decorated, really needs new tables/chairs, and serves up decent coffee with good foam but without the fancy, high-coffee style that comes with perfect pours. Give me a single shot cappuccino in a small cup spilling over with foam and I'm happy. Anyways, I'm getting use to this place. Denver that is, not just the coffee shop. Although I do miss the trees and my dogs miss the grass. Don't get me wrong. There are lots of trees planted in Denver and it is a beautiful, green, cheery place but I'm use to being able to drive 5 or 10 minutes down the road and let myself and my dogs free and go trail running through a deciduous forest. I miss that... those plants and trees are friends I have left behind. Even though my dogs miss grass (it is too dry of a place to grow grass in dog parks and waste precious water resources by watering a lawn solely meant for dogs to pee on... which is a responsible thing for the city to do) they have so much to do, see, smell here. Everyone loves dogs and almost everyone has dogs. Seriously, our first morning here was an insane welcome with the manager of the restaurant we brunched at buying us "welcome to Denver, we love dogs cocktails" and providing us a list of dog-friendly Denver activities. Last weekend we took advantage of the holiday weekend since Ty had Monday off work and we headed out towards The Great Sand Dunes National Park for some camping. On Saturday we camped at a place called The Orient Land Trust where they have natural hot springs. This true, off-grid community can be found several miles off the highway on a dirt road. You know those types of roads that make you feel like you are in a secret, secluded place as the dirt kicks up around your car in a cloud that streams down the road as the largest feature in a broad, flat landscape. It is a special place. We were hoping to get a walk-in camping spot even though no one answered our morning call. Being Memorial Day weekend we arrived to find all the camping spaces filled up, they have a strict daily entry limit, and I was still hoping we could sweet-talk in a place for our tent. Fortunately they let us pitch our tent at some of the trail heads but we were not allowed to go to the hot springs. 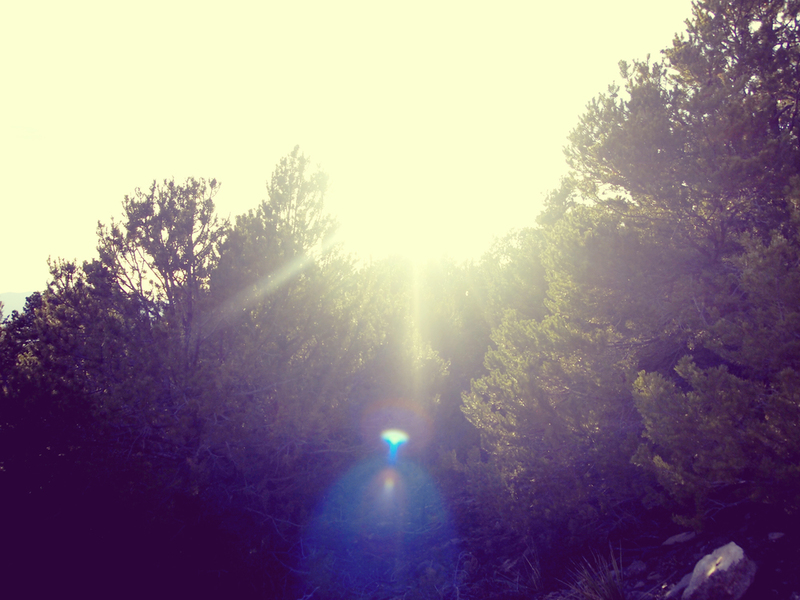 It was a little disappointing but more than understandable, we did take some beautiful hikes and watched the low-horizon sun play rumpelstiltskin on all the desert plants by turning them to gold before our eyes. The rockies were dark silhouettes with a sunset cloak patterned in never-ending colors. Gawking over the sunset our dogs pricked up their ears and turned in the direction of the howling coyotes nearby and watched eagerly at the deer and elk grazing. We had the whole place to ourselves and in that moment we were the only ones. The next day we woke up early and got to the sand dunes around 8 in the morning, before the welcome center even opened. I've been to a similar desert before and I know how hot the sand can turn under the fierce afternoon sun. There was only a handful of people at the dunes so early, lucky for us. (If you plan on going I recommend going early. When we left there was a streaming tail of cars filled with impatient faces waiting to get in.) We trekked the dunes from 8-12 and banjo sniffed the sand, pawed at it playfully and ran around in circles like she does in the snow. We kept climbing up big peaks, pausing to take in the view and then sprinted in a path straight down the dunes as fast as we could, with both hands failing in the air. 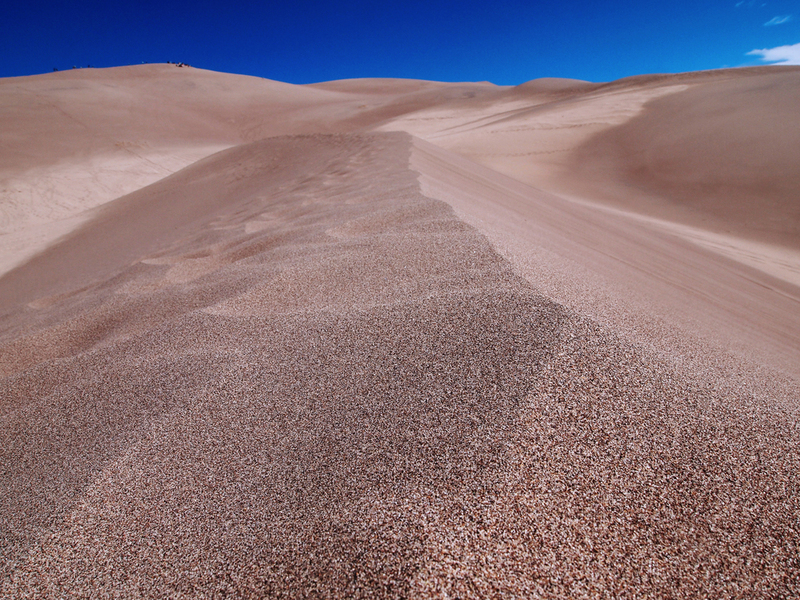 Eventually we had to turn back even though each new dune peak was taunting us; begging to be climbed. The sand heated up and we had left our shoes behind at the car, while puppy paws had received an exfoliation treatment better than any spa could do. 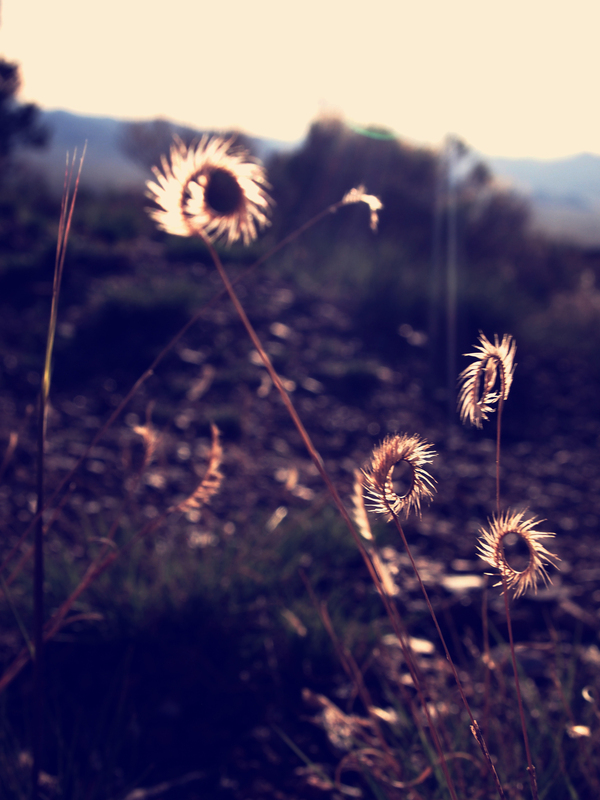 I love the duney desert, the grit in the air, salt in your mouth, and the wind in your hair. Leaving the dunes you resolve to an awe over how diverse and beautiful this country is. I've now seen this country from tippy-top north to low-country south and from east to almost west; it is truly magnificent. The weekend was for the spirit of remembrance, and gratefulness. Despite the bad, we have a whole country filled with beautiful things to be grateful for. On memorial day we felt a responsibility to use our roommates grill. After-all, it was Memorial Day, we are American, and neither of us had lived with a real grill before. Still sandy and with skin warm-to-the-touch, these spicy, tofu-q's with a cooling slaw hit the spot. You really want to factor in at least a few hours of marinating time, you can even leave it in the refrigerator overnight. Extra firm tofu package - Pressed for 30 minuets and then sliced thinly. Onion - scant 1/2 a sweet, yellow onion, chopped. Chile powder - 2tsp or 1TB - depending on your desire for spiciness. Press the tofu for about 30 minutes. Once pressed, sliced into thin "patties" the size of the tofu block. While the tofu is pressing make the sauce. Chop up all your vegetables. Place the olive oil in a small saucepan on medium heat. Add your garlic and onions and let it cook for a few minutes, until slightly soft. Add in your habaneros and apricots and let cook for a few more minutes until soft. Add in the tomatoes and tomato paste. Stir until well combined and let cook for 3-5 minutes until soft, slightly bubbling, and evenly dispersed. Then add in all the rest of the ingredients and let cook for a few more minutes, until just fragrant. Add the mixture into a blender and blend until smooth. Adding in some water if needed to bring the sauce to the desired consistency. Taste and adjusted spices. Layer the tofu in between a generous amount of bbq sauce, making sure all the tofu is covered. Let it marinate on the counter for several hours (2-3 at least) or overnight in the fridge. 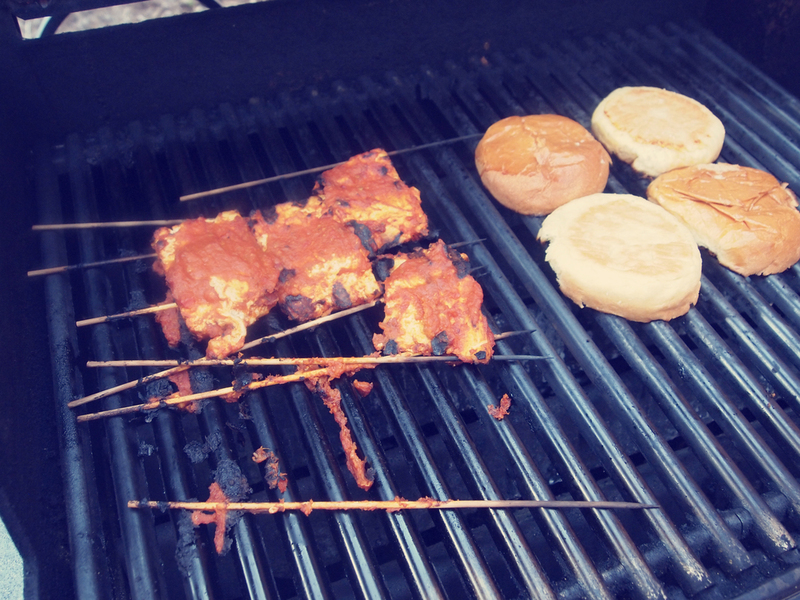 The extra bbq can be stored for later use (think veggie kabobs or pizza sauce). Heat up the grill (or grill pan) and cook the tofu straight on the grill (rubbed down with a little oil since tofu can stick) or cook on top of bamboo skewers on the grill (soaking the skewers in water for a hour first). Cook the tofu for about 5 minutes on each side. Brush over some more bbq sauce after flipping. We even threw our burger buns on the grill for 1 minute to crisp them up. For the slaw, toss together the onion and cabbage. Add in the avocado and stir, slightly mashing up the avocado among the slivers of onion and cabbage. Squeeze over the lime and season with salt. To assemble the burger spread a little of the paprika aioli below (admit for vegan), top with strips of tofu and then pile on a good bit of slaw on top. No shame in adding some more bbq sauce too... bbq is suppose to be messy. Serve with grilled asparagus. Pumpkin seeds - a handful, coarsely chopped (optional) . To make the aioli add in the egg yolk, lemon juice, and salt into a small bowl. Beat with a whisk. Slowly drizzle in the oil in a very small, steady stream while whipping with a whisk. The aioli with start to thicken up and lighten as you whisk. I let my aioli get to about a medium consistency since I didn't need much and didn't want to use too much oil. Add in the paprika and more salt and pepper if necessary. Whip until combined. Toss the asparagus in a bowl with the olive oil and season generously with salt and pepper. Lay on a pre-heated grill and cook several minutes, rotating the spears with tongs. You want the asparagus to get soft, a little brown in spots, but still retain a slight crunch. Lay the asparagus on a tray, top with some aioli and the sprinkle with pumpkin seeds. I am so happy that it is warm. I'ma celebrate with a smoothie. arrots - 3 big, whole, chunky ones. un the carrots through a juicer. Add the carrot juice, mango, yogurt, honey, almond milk, and ice cubes to a blender. Blend until smooth. Admire that beautiful color. Drink. Mmm so smooth, so good.